Fill. Drink. Pack. Repeat. 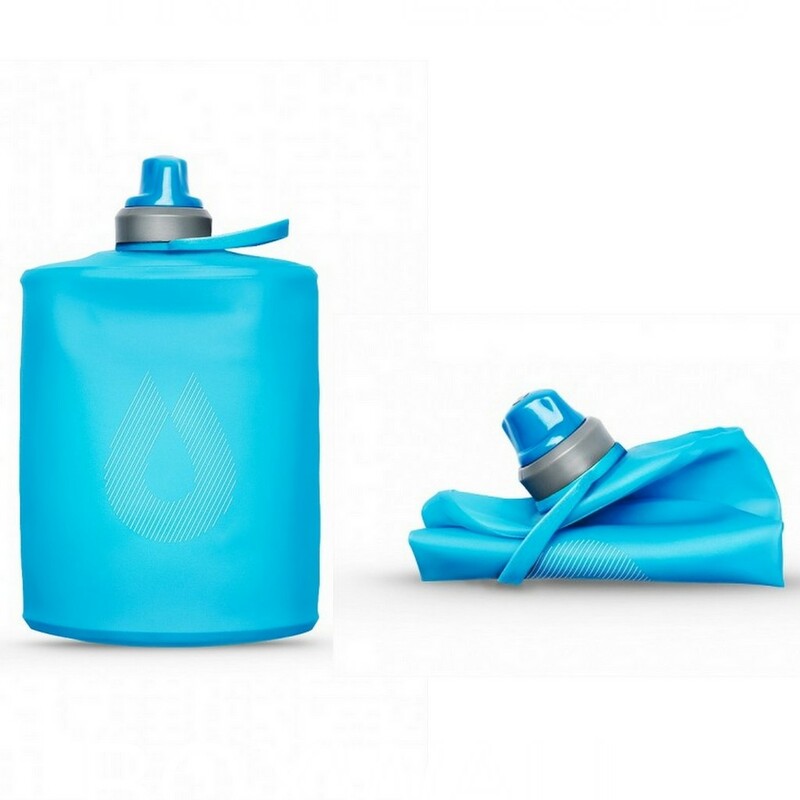 With durable construction and minimal design for easy packing, the flexible HydraPak Stow 500ml collapsible bottle helps make all your adventures the best they can be. Add the spill-proof nozzle for easy drinking, bail handle for comfortable carrying and attachment, and a weight 80% lighter than most hard bottles, and you’ve got a winner every time. Dimensions : 17.5cm x 10.2cm, 6.8" x 4.0"
Thermoplastic Polyurethane (TPU) is at the core of every flexible hydration product HydraPak make. They’ve been using it for nearly 20 years and the reason is simple - it performs better than any other material for the application. To start, it’s incredibly strong: able to stretch up to 5x its original size without breaking. Because it’s so resilient, they can use minimal material to meet the strength needs. 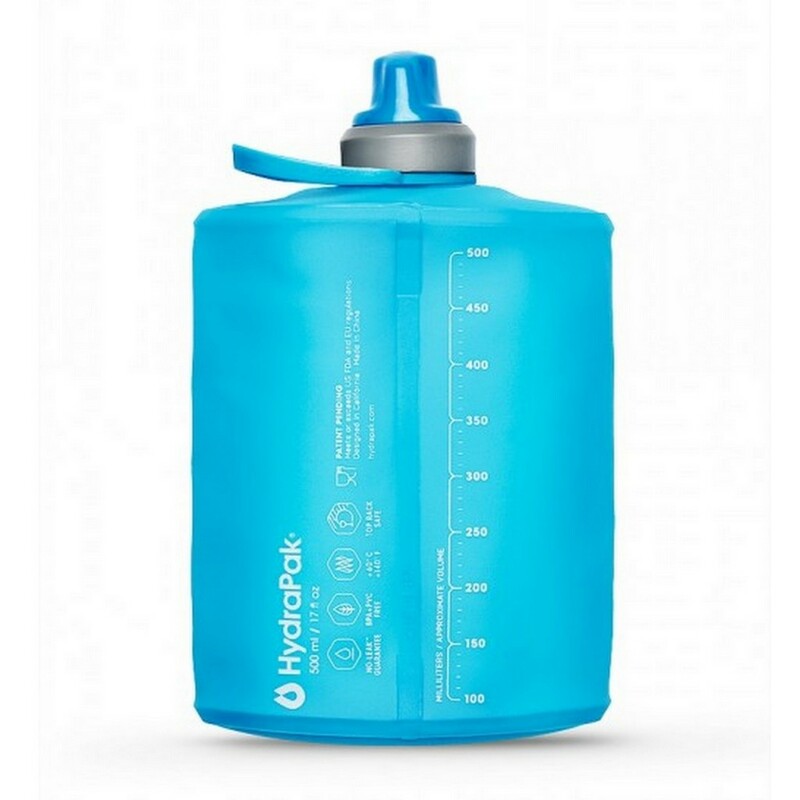 HydraPak hydration products are 3 to 6 times lighter than their hard plastic or stainless steel equivalents, and as any performance athlete can tell you weight matters. Lastly, TPU is safe and reliable. It’s 100% BPA and PVC free: every one of our products meets or exceeds the most rigorous national food safety standards in the world. 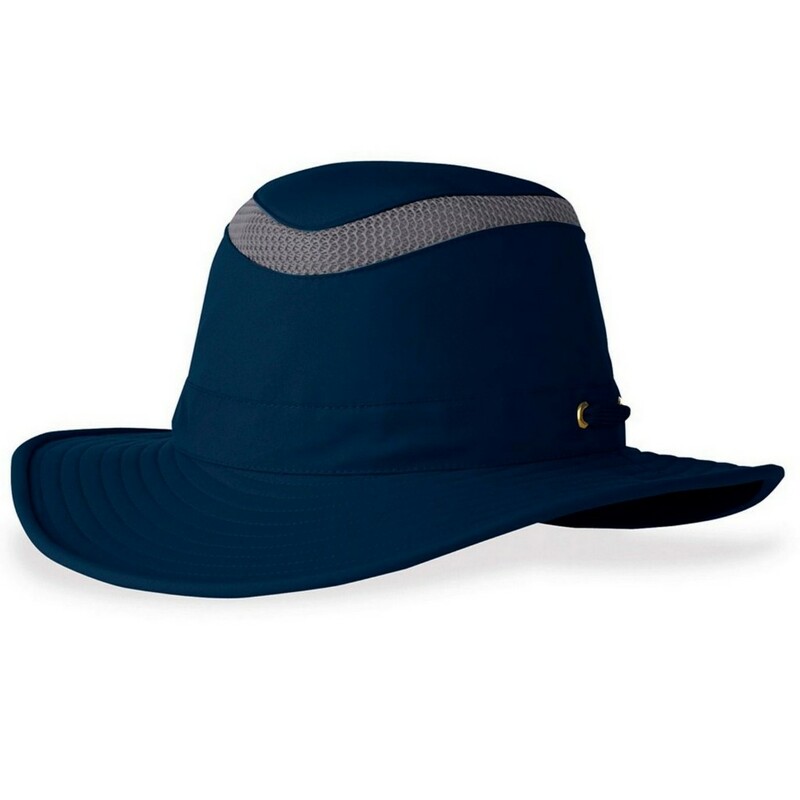 Every year they test other materials and TPU formulations against their own proven TPU for strength, abrasion resistance, hydrolysis resistance, durability, and taste. HydraPak keep coming back to their own TPU performance “sweet spot” and will continue to do so until a higher performance material becomes available. TPU is it responds extremely well to radio-frequency welding, which is used to bond film or molded pieces to one another. RF welding passes electricity from an anode to a cathode through the TPU material, exciting it on an atomic level to create extremely localized heat. Molecules in the two pieces of material bond so completely that the site of the weld is actually structurally as strong as the material around it. In addition, is used an “overlap” welding technique whenever possible that greatly increases weld longevity and remove creases where bacteria can grow. This stands in contrast to the simpler and cheaper process of heat welding, which can be equated to ironing two pieces of material until they melt together.